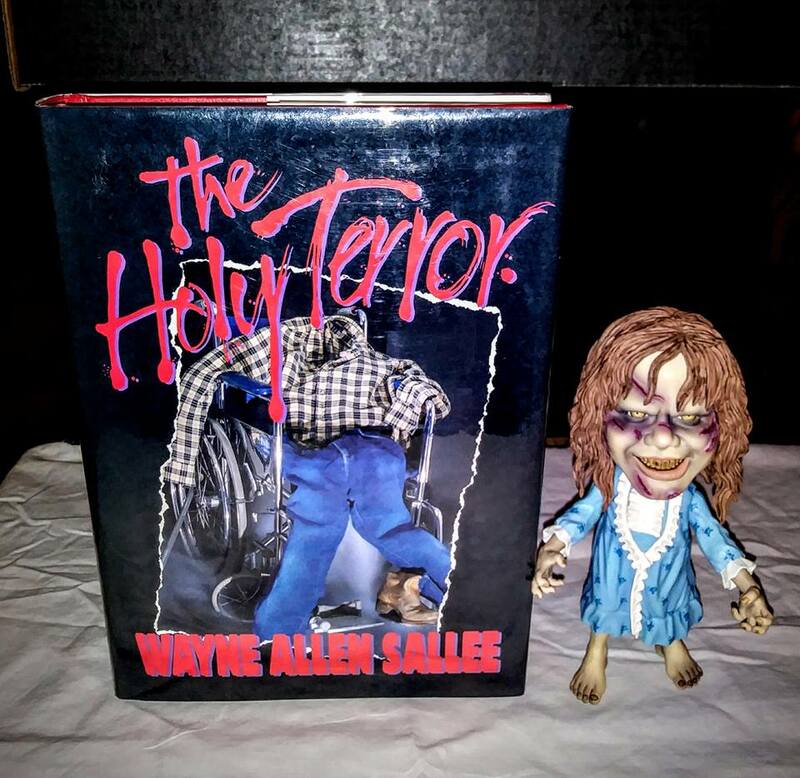 Mike Olson now has a copy of the Zeising edition of THE HOLY TERROR, thanks to my pal Chris, who found a copy in Anchorage. 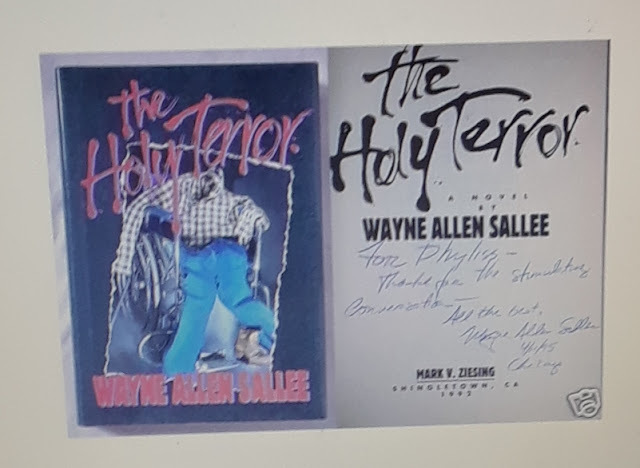 I had been ready to have eBay mail him this signed copy that's been up there forever. Does anybody ever notice that I asked Mark Zeising to put a period in the title and he did indeed do that. Oh, and I don't know who that monster doll is because I'm dumb. SALLEE ROBOT FIGHTER 2017 A. D.